It's that time once again to talk about the freebies that T-Mobile subscribers will get this coming Tuesday from the carrier. 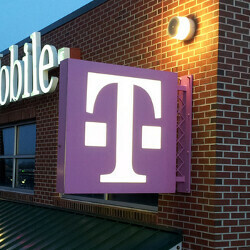 This coming week's T-Mobile Tuesday includes discounts on pizza and gas. Some might say that both of those things go hand-in-hand, but that depends on how strong your stomach is. On Tuesday, T-Mobile subscribers will get to pump up to 20 gallons of Shell gas into their car with a 25 cent discount per gallon. The same day, T-Mobile subscribers can take 25% off a regular menu item at Papa John's. In addition, every Tuesday in July, a different group of T-Mobile customers will receive a free one-topping pie. So check the T-Mobile Tuesday app each week to see when it is your turn. Normally $144, on Tuesday T-Mobile is giving subscribers the opportunity to buy an annual subscription to Ever Plus for $20. That includes a free three-month trial to the service that stores your photos and videos, and even helps you create a photo book. Lastly, all T-Mobile customers will receive a free one-day Blu-ray video rental from Redbox. Now on to the contest prizes. This upcoming week there is one Grand Prize winner who will receive a one-day Blue-ray video rental from Redbox every week for two-years (104). And since you do need a Blu-ray player to view Blu-ray CDs, the Grand Prize includes a free player. Fifty First Prize winners receive a one-day Blu-ray video rental from Redbox every week for one year (52). And One Hundred Second Prize winners get a free one-day Blu-ray video rental from Redbox, every week for 6-months (48). For this coming Tuesday, 151 prizes are available for the contest with a value of $12,897.99. Good Luck!